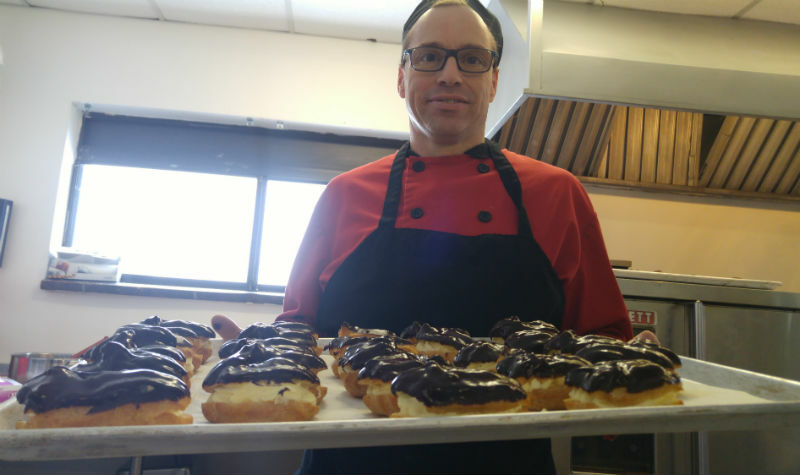 Almonte Country Haven nutritional care manager Dave Benn holds a tray of made-from-scratch chocolate eclairs his team prepared for residents. ALMONTE, Ont. – Whether Almonte Country Haven residents are tucking into a traditional Sunday dinner of roasted prime rib with Yorkshire pudding, enjoying crème brûlée for dessert or snacking on a chocolate eclair with a cup of tea, they can count on the food being made from scratch.